Four entrepreneurs reflect on their decision to align with Cisco Investments and the pivotal changes in their companies after becoming part of the Cisco portfolio. The amount of capital available for entrepreneurs to disrupt markets and build exciting new companies is higher than it's ever been. But when young companies decide it's time to take on investors, the challenges involved in finding the right partners can prove daunting. The decision presents an early test of leadership for the CEO, who has to judge whether this will be a mutually beneficial relationship with the potential to last long after the investment transaction. "Everyone appreciates the cash,"said Nick Mehta, the CEO of Gainsight, a platform for customer success and customer management organzations. "But will their investment be able to help you achieve your goals?" It's a tough question for any entrepreneur to answer. When Mehta was ready to go ahead with a Series E investment round last spring, his vetting was made easier by the fact that one of the potential investors was already an existing customer. "Cisco was already one of our customers and we enjoy a very good relationship – we have a lot of respect for them," Mehta recalled. "Any time you look at a potential investor, the question you have to ask yourself is whether they will add value. With Cisco, that was the clincher for us." Cisco Investments annually invests $250-$300 million, both directly in startups and indirectly through venture capital funds. Some of the most cutting-edge thinking goes on in the entrepreneurial corners of the industry, so these investments are essentially strategic bets. Some of the investments may ultimately result in the company's acquisition by Cisco or others, while some might last years as the startup develops into a mature company. In short, this isn't a fast money play. Cisco presents itself as a longer-term investor than the typical VC you find in Silicon Valley. What's more, Cisco prides itself on being an investment partner whose value is amplified by its ability to reach into a network of industry and customer contacts. "We go beyond taking just an investment stake," said Hitesh Saijpal, head of portfolio development at Cisco Investments. "Our philosophy is based around identifying high-quality opportunities within the Cisco ecosystem to accelerate our portfolio companies." "We're looking for companies with potential to turn into category leaders," he added. 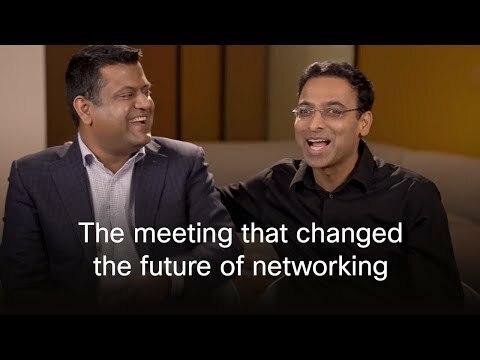 "How does this company push the envelope in areas that are strategic to Cisco today and down the road?" Nowadays, Cisco Investments points to a portfolio of over 120 active companies and limited partner positions in more than 40 venture capital funds. That means a nexus of valuable contacts and potential client introductions for Cisco portfolio companies needing help. After Cisco closes an investment, it meets with the leadership of the company joining its portfolio to explore the direction they want to take and ways it can help accelerate their growth. "We'll turn that into an effort to identify opportunities with our business development and sales teams and make whatever introductions we can to help them move things forward," said Saijpal. Cisco's managers meet regularly with the companies in the portfolio. The frequency and the amount of support varies according to each firm and their particular needs at various stages of their development. "We have a large portfolio of companies so each company and each individual entrepreneur is going to be different," said Saijpal. "We're constantly looking for ways to connect them with our sales teams or other business units inside our company, bringing them to Cisco's marquee events and making relevant introductions to our customers." That approach meshed neatly with what Nir Polak, CEO of big data security analytics company Exabeam, needed when he decided the company had reached the point where it needed to take on investors. "To me, it wasn't about the capital or the dollars," recalled Polak. "It's about the impact to the company that an investor can bring with the support of their brand or by making introductions and offering up connections. These alliances that you can make because you get introduced to other firms in the Cisco portfolio – that's special and unique." Coincidentally, long before Exabeam took on outside investors, the company conducted a project dubbed internally, "Go and find a big brother." The idea was to identify an investor that could double as a strategic partner to help Exabeam build a strong go-to-market presence. "Cisco met all the requirements," Polak said. "It has a massive globally-installed base and a strong sales force with a strong channel. And they have no competitive offerings to our platform. So for us, it was a perfect fit." The relationship has since paid dividends. Polak, who said the two companies regularly work in coordination, held up as an example the sales deal Exabeam signed with Great Ormond Street Hospital, one of the biggest medical establishments in the UK. He specifically pointed to the help Exabeam received from Cisco's European sales team. "That was a deal Cisco introduced to us and they also helped us to close it," he said. "Would we have been able to do that on our own? Maybe, but it definitely would have been a lot slower. Their sales force just expanded our reach and it's a tremendous relationship we were able to tap into." The promised benefit of access also factored into Mehta's decision to take Cisco on as an investment partner. He already was familiar with Cisco because they had been a big client of Gainsight. "That's how we got on their radar as well," he said. Since becoming a member of the Cisco portfolio, Gainsight has benefited by having unfettered access "to anyone we want inside the company" as well as introductions to potential clients. "Since our deal, they have been extremely flexible and easy to work with," Mehta said. "Younger companies like ourselves obviously benefit by getting exposure to potential customers who we might otherwise not be able to reach. They've also offered to bring us into their Executive Briefing Centers, where they bring senior execs from their customers onsite and take them through Cisco's technology and roadmaps." "The basic difference I see is that Cisco's a strategic investor for us," Mehta continued. "They are there when we need them and can provide advice as well as all the other things that go along with being in their portfolio." "For a startup, it's often a struggle to gain recognition in a market where there are more well-known and established brands. That's where the ability to team up with Cisco helps open doors that otherwise might have remained closed," notes Mohit Aron, the CEO and founder of Cohesity, a platform for hyperconverged secondary storage solutions. "If a big customer wants to buy from a small company like ours, they might not know how much credibility we have or whether they can trust the product," said Aron. "But when Cisco makes an introduction and says that they stand behind my company and that our product is solid, that adds huge credibility and removes a lot of the usual hurdles. It also compresses the sales cycle. And that's a major win for us." "In terms of building a good go-to-market strategy for a young company like ours, we can either do it all ourselves and hire sales guys slowly, or we can use leverage and accelerate the process by working with someone like Cisco," Mohit continued. "They already have a large installed base and can make introductions to some very large accounts." Phil Tee, CEO of Moogsoft, a platform for IT incident management, says the decision to take on an outside investor was guided by a need to find partners who were committed to the enterprise software space and knew how to build companies. Further, he was interested in finding a partner who understood "the magnitude of the challenge and the opportunity ahead of us." The relationship, he said, extended far beyond a financial investment. "It's about genuinely caring about our business and truly wanting us to succeed together," he said. That's where Cisco's position as a networking leader came into play. In particular, he pointed to the company's ability to connect people and technologies. That global reach offers access to customers in regions that Moogsoft may have struggled to reach. The upshot: Cisco has since been involved in about 1 in 5 deals that Moogsoft makes. "Cisco is able to give us greater reach into the market, helping us grow our channels, giving us market intelligence, and even providing more visibility into areas and challenges of the market that we may not see," he said. "Cisco brings us opportunities that we wouldn't normally have." Cisco's been giving opportunities to startups since 1993 when it launched Cisco Investments. Learn more about its unique investment strategy here. Charles Cooper is an award-winning freelance author who writes about business and technology.